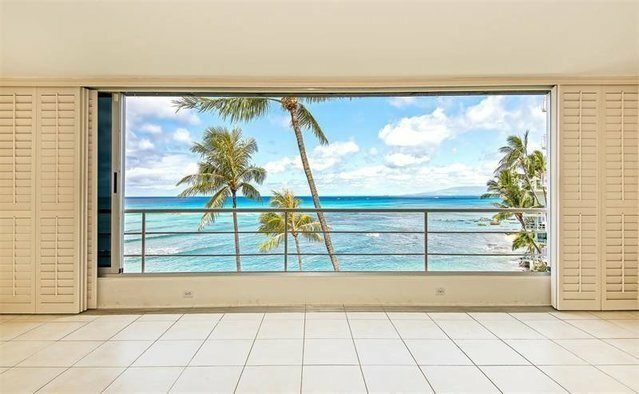 This grand residence at Coral Strand features expansive lanai-like rooms that open to stunning views of the ocean and Diamond Head. The impressive 3,676 square feet of interior living space with almost 70 linear feet of ocean frontage is currently configured as a two-bedroom three-bath residence with two spacious ocean-view entertaining areas. Should you prefer three or four bedrooms, however, there is ample space. And then there's this rarity on the Gold Coast--garage parking for three cars.